Correlation between Countries' Annual Per Capita Chocolate Consumption and the Number of Nobel Laureates per 10 Million Population. Paper is here. 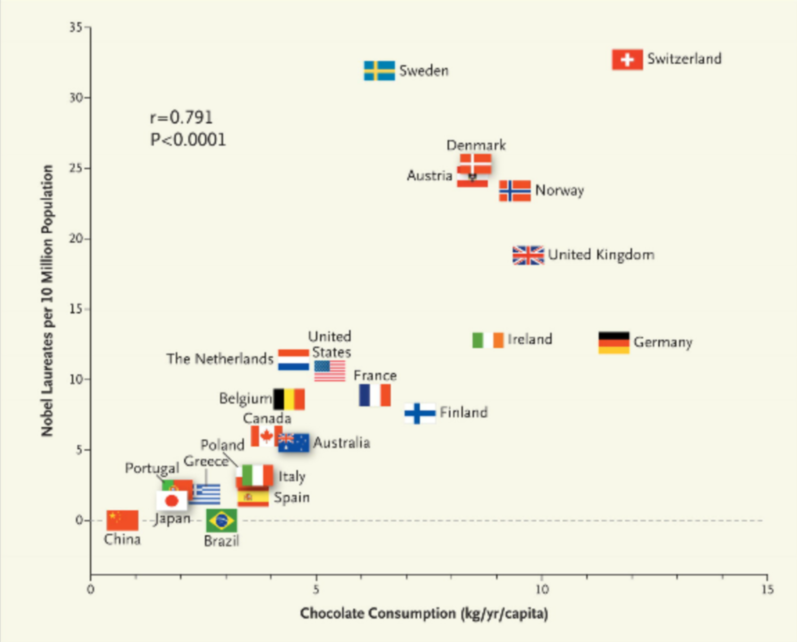 Chocolate consumption enhances cognitive function, which is a sine qua non for winning the Nobel Prize, and it closely correlates with the number of Nobel laureates in each country.